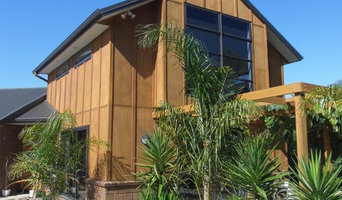 McMillan Design is a small, personal Design company based in Matangi, on the outskirts of Hamilton, with 35 years experience in Architectural Design. Winners of several Design awards over the years, we pride ourselves in the ability to design both Contemporary and Traditional buildings to suit the clients tastes and requirements. Renovation and Additions are a large part of our experience as well. DF Design Ltd. is a Raglan (NZ) based Architectural Design Practice with a strong focus on sustainable and energy efficient architecture. We create intelligent designs around New Zealand that respond to it's surroundings and reflect the needs and dreams of our clients. 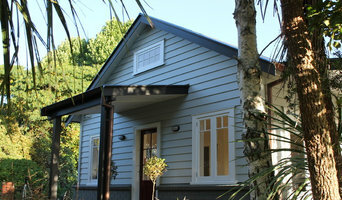 Environs is based in Cambridge while servicing the Waikato, BOP area, with over 20 years of design experience. Environs focus is on integrated architectural and landscape design. Our clients appreciate a considered design approach to their whole site, ensuring a unique home and landscape tailored to their individual lifestyle or business. We strive to create connections between the interior, the form of the building and it’s location. We seek to work with the clients to achieve the look they want whether it be contemporary or traditional. Clients have frequently expressed appreciation of how designs we have produced have really captured all that they had imaged and more. We have a keen interest to work with clients who desire to pursue sustainable/green principles. We believe good design should not only good to look at, comfortable to live in, but also friendly to the environment it is sited within. eco habitats is a company that specialises in environmentally friendly design and build solutions for the residential market. We pride ourselves on being able to provide innovative design solutions to meet all our client’s requirements. We believe that architectural design should be environmentally sensitive and promote sustainable building practices. To show our commitment to this, we are a member of the Green Building Council and members of our team are Homestar Practitioners & Homestar Assessors What does this mean to our clients? We have access to the latest information and research into green building best practice, which enables us to offer you up to the minute advice for your project. As trained Homestar Professionals the team at eco habitats is able to give you guidance on the best combination of design and sustainability features for your building project. Hamilton, Chartwell, is where I have re-established my architectural design business, back in Hamilton after 15 years of working and living in top of the south island. I am committed to providing a fresh look and layout with the emphasis on the building working for the occupants. High insulation rates (new or retro-fit for renovations) providing warmth and comfort all year, while reducing the cost to run the home. I have an interest in Scandinavian architecture with the simple clean lines. Trips to Europe to visit family are a wonderful opportunity to view modern award winning Architecturally designed buildings. Design comes from an understanding of my clients vision and enhancing it. I Incorporate passive solar design features to reduce energy use, use a high thermally rated exterior envelope and energy efficient heating systems, incorporating adaptability solutions for longevity of stay in the home. I have a keen interest in the Passiv Haus movement . We are a small architectural design practice offering a personal service. Sandra Steingrimsson, is the principal director, a Licensed Building Practitioner (Design) and a professional member of Architectural Designers NZ. Twenty three years experience in residential design, fifteen years with my practice in Marlborough, then returning to Hamilton. As a Licenced Building Practitioner I commit to on-going education, keeping informed of new products and systems. As a designer I am interested in new methods of construction, reducing costs and the carbon footprint. Established in 2013, 3D Maker Ltd has provided services for a range of clients including architects, home owners, real estate agents, landscape designers, product designers, and building developers. Our work has been used in brochures, web-sites, planning applications and marketing material. Vaughan Bayley is the owner and Principal Director of Vaughan Bayley Designs. He has been an Architectural Designer for more than 25 years and is an Internationally Experienced & Award Winning Designer providing Architectural services for the Waikato, Bay of Plenty & beyond. Vaughan Bayley (B. Arch) Principal Director Vaughan is a Professional member of the ADNZ (Architectural Designers of New Zealand), a Design Licensed Building Practitioner and a member of the Cambridge Chamber of Commerce. He has a Bachelor’s Degree in Architecture from the Nelson Mandela Metropolitan University in South Africa where he spent 6 years working for Architects before moving to London in 1994. It was in London that Vaughan joined a major Architectural firm and spent 14 years working on a wide variety of projects including luxury residential, synagogues, old-age complexes, retail complexes, luxury hotels, office blocks, cafés, a major redevelopment of Covent Garden etc. In 2008, Vaughan emigrated to New Zealand along with his wife Anne and their three beautiful daughters. They now call Cambridge home and absolutely love everything that the small rural town has to offer. During the past few years, several awards have been won using Vaughan’s design expertise and his passion for Architecture and problem solving has lead to some interesting design solutions. Vaughan has a wealth of experience in a wide variety of Architectural styles and works exceptionally hard to ensure his clients receive the dream home or commercial building they have always wanted. New Vision Architecture aspires to design distinctive homes, additions, alterations, accessory buildings and small commercial buildings with street appeal and individuality that fulfill our customers preferences. We offer full involvement throughout the whole design process, direct contact with the architectural designer for your home, creative and innovative design techniques, high quality design, construction and specification documentation to meet all building consent requirements. MacPherson Architecture adopts a client-focused, collaborative approach to architectural, interior and landscape design creating continuity and integrity over all three design principles. 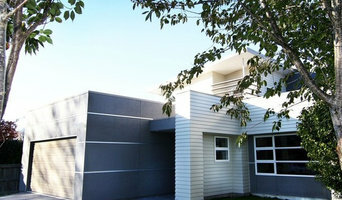 Established in 2000, we are a Cambridge based practice with projects across NZ. Chris MacPherson's ability to understand your brief is directly reflected in the diversity of his work. Chris, Architectural Designer & Landscape Designer - is a licensed practitioner, Level 2, member of NZGBC and BBE. Design is subjective and always evolving, often influenced by trend . We believe certain design principles never change - proportion, scale, dimension and good use of space & materials are distinctive elements of design subject to the skill of any designer's ability to visualise the end result of every individual project. When MacPherson Architecture clients work with Chris, they love the experience of discovering why certain aspects of their interpreted design appeals without realising and then having that experience turn into the visualised home or work space. 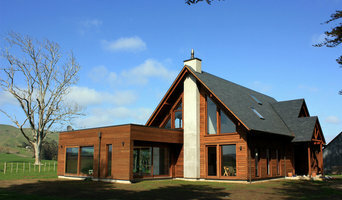 As a design team, we work very professionally with our clients from the initial design schematic stage through to delivering excellent architectural documentation facilitating a hassle-free consent process & build , establishing your budget and contractual documentation with your builder and then working with you throughout the build in project & site management. Interior design and landscape design. All of this forms the essence of what we do... Chris has significant horticultural knowledge and experience and because we do it all in house - we understand the importance of retaining the continuity of your design & style by creating a seamless transition between indoor/outdoor spaces marrying perfectly with your interiors. Robyn specialises in interiors & fit-out. As a future-based practice - our biggest passion is to use sustainable and integral building materials. We believe the built environment is not just based on good design but has to be sustainable, durable and healthy. As members of the NZ Green Building Council, we work closely with our clients to help them achieve the best long-term solutions for their investment. When you work with MacPherson Architecture, you will receive expert & professional design advice from the inception of your project to highly detailed drawings & documentation for council through to construction site observation and/or management. endeavour building consultants nz Ltd is a building consultancy firm that can do architectural design and draughting as well as property reports. We also can design light commercial and create fire design philosophy reports for those projects. We work closely with selected engineers to deliver you your design project. studio4architecture is an architectural design practice, catering for both residential & light commercial structures. Our scope of work can be tailored to suit your requirements. My particular interest is in providing economical design solutions, bringing elements of good design to everyday people & families, which add to the quality of the built environment. This is achieved though a pragmatic/honest approach to architecture, reinforced by on going project-related research. This practice commenced in 1972 where the aim was to provide and architectural design office to those clients in the lower cost housing group. This has since changed drastically. Since its beginning the Company has been well known for its work in and around the greater Waikato region and has gradually expanded to a staff of 6 with additional contract support. Together with expansion, the extent or services offered has increased and the Company has undertaken many large housing projects, comprehensive residential and commercial developments. Its focus is far reached from its original development. 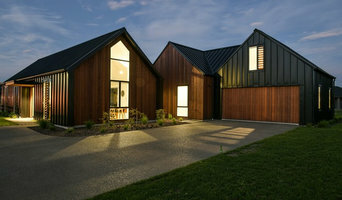 The company has for a number of years been involved with the Lockwood Building system and has completed several major projects with this system, both in New Zealand and overseas. Whether you want to design a dream home, develop a commercial property, renovation, new porch, deck or a chimney, contact David Peehikuru to talk through your ideas. David will pay close attention to your wish list, taking you through every stage of the design and building process. Excitement is maximised, stress is minimised. David produces plans for soundly-based structures suited to your requirements. His design solutions are aesthetic, practical and specially tailored for your needs. The team at Architectural DESIGN Ltd, Te Awamutu, will ease the way for you, whatever your building or renovation project. They have the experience and skills to create a design to your taste, develop realistic budgets, handle the consent process, and undertake the project management that will see your project through to completion.